In an event in Taiwan, HTC unveiled the next big device in its Butterfly series (you probably know it as Verizon’s Droid DNA). Droid DNA and its international edition, J Butterfly have been two of the most exciting and high-end smartphones developed by HTC. Here is Butterfly S, which comes with similar features and a whopping large screen of 5 inches, the largest that HTC has ever made. Here is the technical specifications of Butterfly S in comparison to two other devices, HTC One and Samsung Galaxy S IV. HTC software technologies: BlinkFeed, Sense, Zoe, etc. Samsung technologies: Dual shot, Group play, Smart Scroll, Smart Pause, Air View, Story Album, WatchON (TV remote), S Health, S Translator, etc. As you can see, Butterfly S is a power-packed smartphone and is the most high-end device from HTC’s range. Although HTC’s flagship model is One, Butterfly S has slightly bigger screen than that. The only problem is that Butterfly S is not yet in the US, and there is no LTE version. Apparently, Galaxy S4 zaps the competition easily. It has the best features of the three. However, there are a few aspects that Butterfly S excels over it—processor, display, build quality, and battery life. Firstly, the processor. Snapdragon 600 is the fastest processor in the world of mobile devices. Samsung Galaxy S4’s Exynos Octa is definitely not as powerful as Snapdragon 600. Although Octa has eight cores, it is actually made of two four-core processors, and only four cores work at a time. When intensive tasks are being done, 1.6 GHz 4-core processor comes into play, while the other 1.2 GHz version works when there are no intensive tasks and the power needs to be saved. However, S4 has an LTE version which comes with the exact same processor on HTC One and Butterfly S. They hence provide identical performance. On the build side, HTC Butterfly S has a slightly better build quality than Galaxy S4, although with plastic, doesn’t measure up to One. All of those technologies that HTC has brought with One are there in Butterfly S too. HTC BoomSound, with front-facing speakers, which use Beats Audio enhancement technology, gives Butterfly S a better sound quality than Galaxy S4. There are also HTC Zoe, BlinkFeed, OIS on camera, etc., on Butterfly S.
The display is amazing. 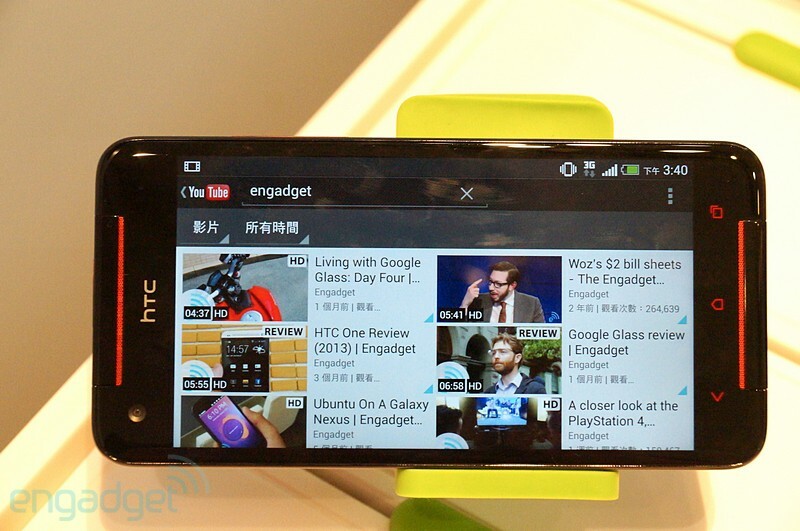 Butterfly S has the largest display of all HTC phones, and it comes with Full HD resolution. With much higher pixel density than Apple iPhone, it is sure to give extremely sharp images. You may remember in our early comparison of the best display, HTC Droid DNA (Butterfly J) was ranked number one. It is the same here. I would prefer SLCD 3 to Super AMOLED due to certain reasons outlined here. This makes Butterfly S’s display the best among the three. In the battery department also, Butterfly is the king, leading with 3200 mAh battery, which delivers up to 25 hours of talk time on WCDMA as compared to 17 hours given by Galaxy S4. Another advantage over HTC One is that this phone has a MicroSD expansion slot supporting up to 64 GB. This well compliments the puny 16 GB storage provided. Android takes up a chunk of that storage, remember. What about the price? Well, that information is already available. The price given is in New Taiwan Dollar, NT $22,900, which roughly comes to USD 760. It definitely looks like HTC has made a wonderful device here. It is not known when this one will come to the US market and whether it will be the successor to Verizon’s Droid DNA. The device will be released to the Taiwanese market in July. We may be able to publish a more detailed review once the device hits the market. In the meanwhile, check out this device gallery, given by Engadget China. Apple Mac Pro With a Great New Cylindrical Design: What You Need to Know?